Today's entry is sort of a bonus round. We hit 1000 likes on Facebook and we've now entered the big summer tentpole season, which if you're a film lover like myself, means its the best three months you could ask for. This weekend X-Men: Days of Future Past opens, so I crawled into the bad movie archives to see what I could find that would match this kind of excitement level. And lo...a treasure fell in my lap. 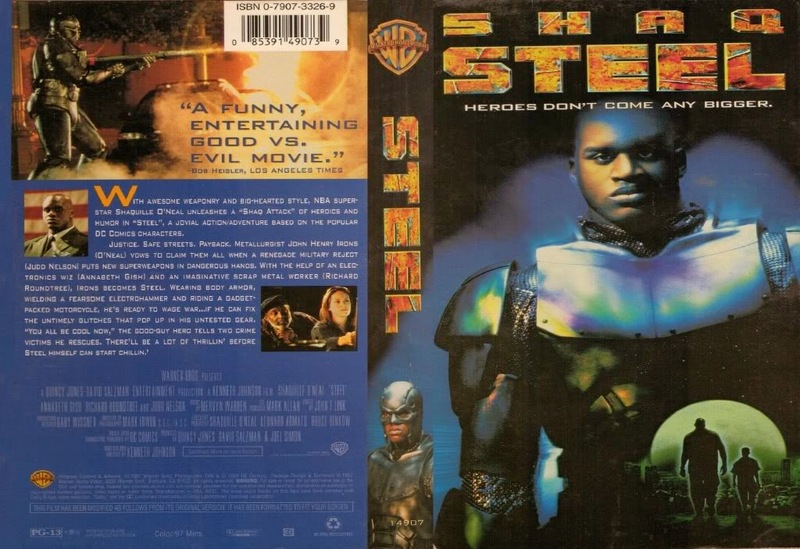 Steel, which I just learned (thank you, Wikipedia) is based off a DC Comics title and stars Shaq. People criticize DC in the often heated DC vs Marvel debate, for not expanding the universe to include more characters and just not trying altogether. According to this snippet from a LA Times reviewer, its a "...entertaining good vs evil movie". A review that vague HAS to mean something. Watch the trailer - you can't say that DC hasn't tried to shake things up in the past. They tried, people. They have tried. You don't see Marvel stepping out of the box and doing these kinds of ballsy moves. Espescially heroes trying to make a long tired MC Hammer catchphrase work. As a disclaimer, it should be noted this movie is criminally not available on Netflix Streaming. So I had to YouTube this experience. Your move, Netflix. Nothing ever bad's going to happen to us, right? 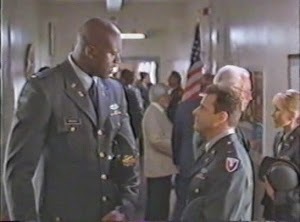 Shaq is in the military and meets up with Judd Hirsch who makes high tech weapons for the military (I'm going to assume this movie exists in the Breakfast Club universe, where Bender got his act together and refocused his bitterness into government work). "So we do a sequel to the Breakfast Club, except its at lunchtime." 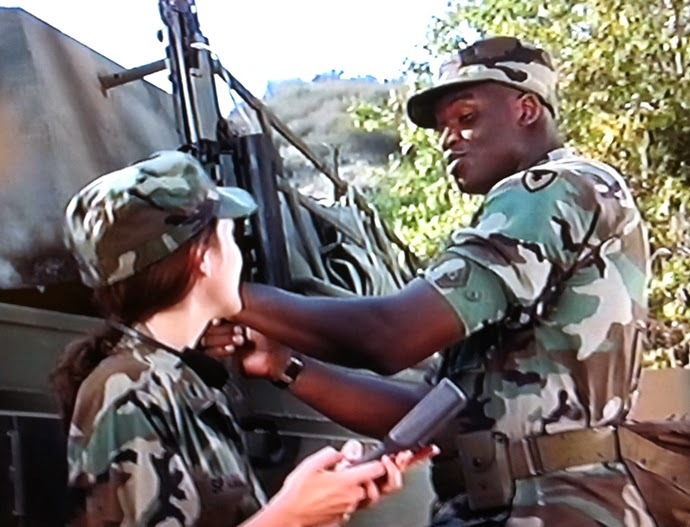 There's a weapons testing incident that goes wrong (spoiler: its Bender's fault) which leaves Shaq's best female friend in a wheelchair and Shaq with an axe to grind. You have to hand it to Shaq. He was really trying here. Emoting is hard, people. "So I was watching Iron Man in the waiting room and I got an idea..."
She really is the all star player in this movie. She spent the entire time staring at a computer screen, which is what I do all day. So she's relateable. Yep. I'm doing this RIGHT NOW. 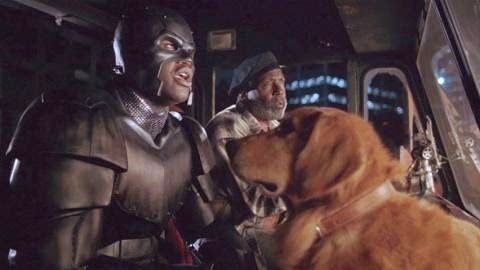 They team up and automatically become a lower budget Batman and Oracle, somewhere in Los Angeles. 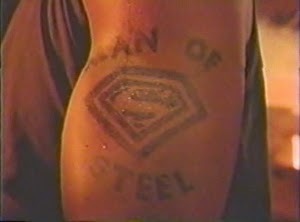 Also, this movie would like to remind you that you have watched better superheroes do better things. Thank you. Like a low budget Batman, they create what is likely the world's worst superhero outfit. Yes, that's a hammer. Its also a gun. Take that, Batman. Since you don't let things like this just go wasted, they hit the town and break up a a mugging, where some criminals are using Judd Hirsch's designs. 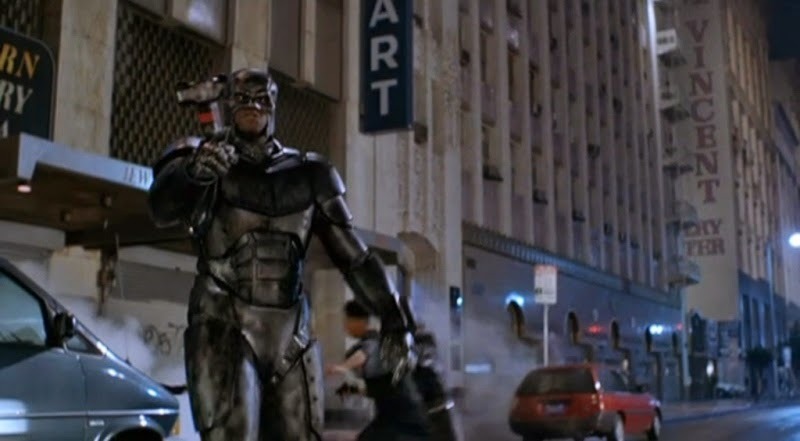 Before he can make the connection that he's not only a low rent Batman, but a lower rent Iron Man, Shaq goes to jail. Because...miscommunication. I think. In the meantime, Judd's busy. He's making bank selling high tech stuff. I imagine John Bender from Breakfast Club going back to the Bender house on Christmas and telling his father to smoke up. When it comes down to it, he's just very hollow inside. Shaq's still in prison though. Since he is a superhero in the sense that he depends on others and unbelievable amounts of coincidence, he breaks out and goes looking for our villain and a really big stupid final battle. 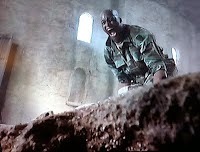 Shaq is a internationally known athlete. He does not run or jump or do anything more active than trudge around and light things on fire. 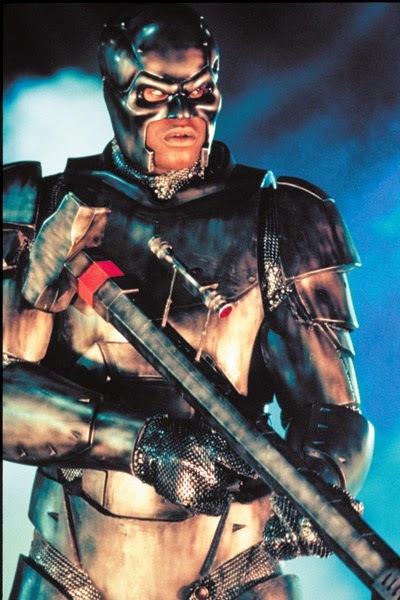 Granted, his suit is made of steel (Get it? Like the name? ), but that's got to be way too cumbersome. Let me know when they change both the suit and the name to something like Aluminum. He's 7'1" walking around the dark streets of L.A. with a giant hammer. Chances are, he doesn't really need a suit to be intimidating. This might not have happened if he had a big awkward heavy suit making movement harder than it should be. 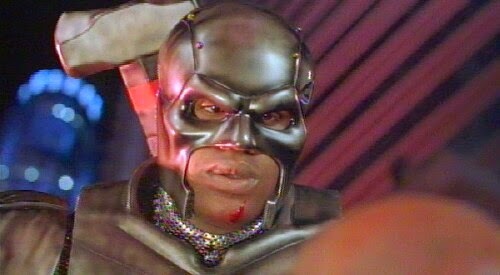 The main issue with Shaq's costume is that it looks like he has a constant case of astigmatism going on. Try as he might, he's just not Batman. But despite the bare minimal requirements for being a superhero, he still defeats Judd Hirsch and all is right with the world. After all, Batman never had a outdoor barbeque thrown in his honor. So points for Shaq.